Deep-dives on vision score, Yasuo’s ban rate, and how we find voice over talent. This week it’s voice over work, a glance at vision scores, and Yasuo’s frequent visits to the ban bin.. So Yasuo is getting banned in almost every game. What does Riot say to the people who like playing him? Honestly? 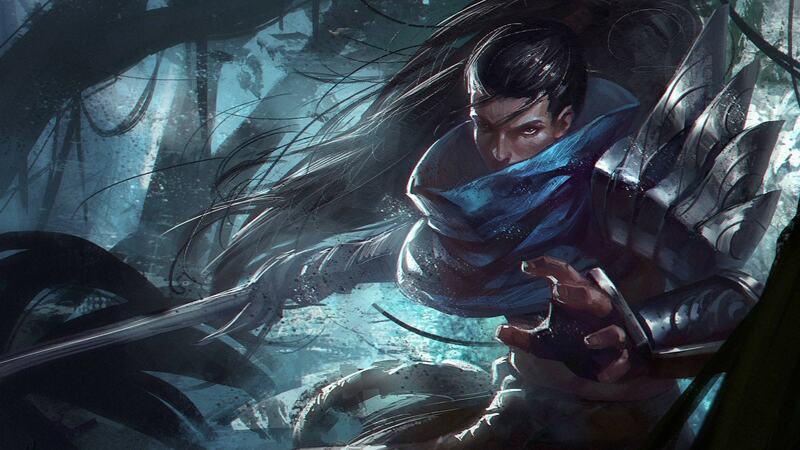 Yasuo is badass. He’s a lethal Ronin-esque character that can pull off slick moves in game, dashing and slashing everywhere, leaving chaos and death behind him…at least when he’s on the enemy team. We’re thrilled that we created a character that people love to play as much as him, but we’re also sad that he’s effectively removed from play because of his popularity. We want you to be able to play Yasuo. The moments when he dashes from minion to minion narrowly escaping death, or lands that 5 man ult getting the pentakill, are super satisfying and exciting — we just need to make sure that the way you do it also provides your opponents with the feeling like they could have made meaningful decisions during the engagement. Now, we could easily get his ban rate down by focusing on his raw power, but doing so would probably also mean that he’d have to be so weak that picking him was actually putting Yasuo players at a MAJOR disadvantage, let alone putting his promised fantasy at risk. Yasuo already struggles with being a viable champion the higher you climb, and instead has a lot of his playrate derived from players who devote themselves to mastering him (and even then aren’t rewarded with the typical winrate growth you would expect). *While these numbers certainly aren’t conclusive, nor necessarily indicative of a problem, it’s an interesting note that in the most competitive environment Yasuo actually struggles to find his place on the Rift. Our belief is that if we want to get him into a state where he is both viable and also not a must-ban, we need to tweak more than numbers. He was already pretty high on our list of champions that we wanted to look at on the scope of a potential ability update (think Rek’sai, Kindred, Heimer etc. ), and with the release of 10 bans he’s moved right up alongside some fellow counterparts in Leblanc and Azir. I want to stress that we haven’t begun investigation yet as we iterate on some other projects, but we’ll be taking a look at him in the next few weeks. I’d expect that when we’re done Yasuo will look and feel very similar to now, but with power shifted around on his kit to provide more windows of engaging decision making for his opponents, while maintaining a lot of the agile swordmaster experience he provides today. Again, we’re thrilled that Yasuo is a champion that gives people who play him something to love, now we just need to find a fair way to have his opponents accept their fate as he steals their last breath with his blade. We would love to hear your thoughts on this, actually! What is it that you love about playing as Yasuo? What is it that you hate when playing against him? Tell us in the comments! How does the new vision score work? Vision Score is a loose measurement of vision game contribution, and can be ballparked as “about 1 point per minute of ward lifetime I’m responsible for providing/denying.” It tends to be in the 5-150 range. Ward Lifetime Provided: Each minute of ward lifetime you provide by placing wards will give you 1 point (can give fractions of points). There are actually a lot of modifiers to this score, see “Ward Lifetime Provided Modifiers” below. Ward Lifetime Denied: When you get a ward takedown (earned gold from a ward’s death), you get 1 point for every minute of lifetime remaining on the ward (permanent wards are assumed to have 1.5 minutes of lifetime remaining). Vision Mechanics: Various vision-providing mechanics have a baseline score on-use (usually 0.1 to 0.5), and can also give bonus scores if revealing unseen champions or epic monsters (usually 0.1 to 1.0). This includes Scryer’s Bloom, trinket activation, ward placement, Scuttler Ward, Ashe Hawkshot, Kalista Sentinel, and Quinn Heightened Senses. A Hawkshot that reveals a full Baron attempt will give much more than a Quinn W that reveals nothing (which will still give some score). A typical Vision Score can be single digits (short game where you’re not using trinket well) to well over 100 (long game with consistent sightstone use). Generally, vision-focused junglers come out on top for shorter games, whereas Sightstone supports come out ahead on longer games. There are a bunch of sub-rules and modifiers (again, check out the full boards post for the deep-dive), but that’s the basic gist! How do you select voice actors for new champions? When selecting the voice of a new champion, we have to start by digging deep into who that champion is supposed to be. Each pod (champion team) has a narrative writer who is responsible for the beating heart of their champion; they help the pod answer questions like: Where does this champion fit into Runeterra? How are they unique? What will the experience be when playing them? Most importantly, what are their thoughts on mushroom juice? Once we can say we have more answers than questions, we get started trying to find the champion’s voice. The search begins with a bio and a script from our writer. The bio will often provide a little context for the actor and a way to understand the champion’s motivations, while the script is what the actor will be reading for the audition itself. Once these materials are written, Riot’s VO team is contacted to start the search. We begin by sending the materials out to various talent agencies who represent the voice actors we’re looking for. A few days later, the audio files from the agencies start pouring in. When listening back to the auditions, we tend to be drawn to actors who make a strong choice and present a compelling vision. They are the ones who stand out as being a potential fit for a new champion. From the many auditions, we put together a list of five to ten that could give us the voice we are looking for. It’s important that each actor on this list brings something unique to the champion. We then bring these actors in for a directed audition. It’s here that we’ll spend a little more time with each actor and provide guidance to inform their choices in the booth. After the directed auditions are reviewed and our favorite performance chosen, the writer, the audio designer, and the VO producer start putting together a presentation for the team working on the champion. This presentation includes some of their favorite takes from the actor in the directed audition as well as the first pass at processing the champion’s voice. Once that’s ready, it’s time to show the rest of the team what we’ve been up to and who we believe could be the voice of our new champion. If they love it, we take next steps. If we missed, then we try again until we get it right.